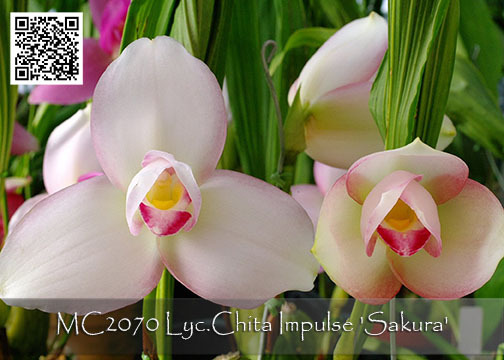 Fabulous new clone of this popular and fragrant Lycaste hybrid ! 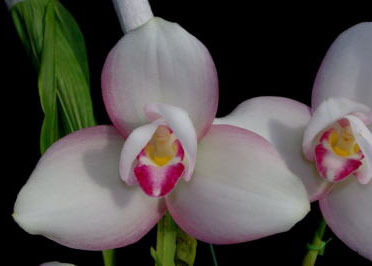 What sets this particular clone apart is its creamy white base color as opposed to the typical pink of other clones, each sepal accented with a fine rich pink picotee. Beautiful full form symmetrical flowers are further accented with a bright pink lip, the flowers reaching up to 4+” in size. Highly Recommended !